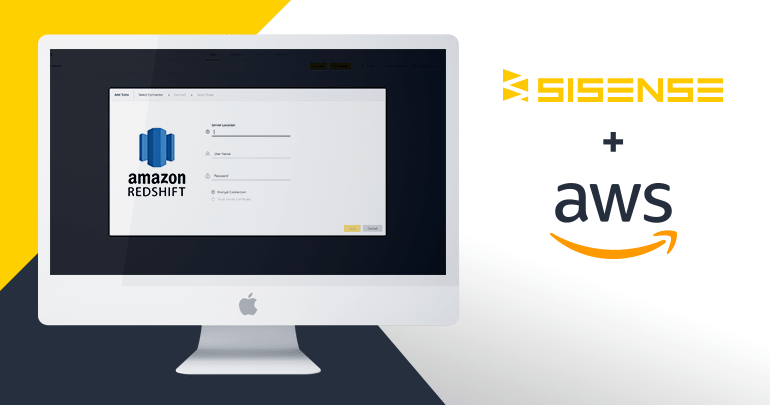 Sisense’s Elastic Data Hub allows users to combine live and in-memory, cloud and off-cloud data in a single dashboard leveraging the power of Amazon Redshift. NEW YORK – MARCH 18, 2019 –Sisense, disrupting the business intelligence (BI) market by simplifying business analytics for complex data, today announced the release of its new Elastic Data Hub, a unique offering in the BI space that allows organizations to easily connect and mashup live, real-time data with cached in-memory data on the same dashboard. This breakthrough offering leverages Sisense powerful, live data connector with Amazon Redshift from Amazon Web Services, Inc. (AWS), a fast and powerful, fully managed, petabyte-scale data warehouse service in the cloud. Click to learn more about this new Sisense functionality, or the Amazon Redshift integration. Sisense takes a radically different approach to business analytics. The company’s obsessive commitment to consistent product innovation and customer success enable organizations to instantly reveal insights from complex data. It’s BI for everyone, everywhere regardless of technical expertise. Sisense’s agility allows business users with no technical background to get the accurate intelligence they need at the very moment it is needed without waiting hours, days or even weeks for answers. Sisense provides a complete business platform to prepare, analyze and visualize large, volumes and varieties of data. Its unique In-Chip® and Single Stack® technologies simplify every step of the BI process – from data preparation to discovery of insights. From innovative startups to global brands like GE, Wix, Nasdaq and Philips, thousands of organizations worldwide embed Sisense in their everyday business to reveal instant insights.